“TO GET AHEAD PLAN AHEAD”. People most often plan for their finances; which bills to pay when, depositing in savings or rainy day or retirement accounts. The same skill is required in planning for your health. You most likely have the long term goal. What needs to be done is the breaking it down into daily tasks. For years I have been practicing Sunday planning day. Kathy Kaehler calls it “Sunday Setup”. In addition to planning the meals, as a family we will also plan the schedule a little later this evening. This way our nutritional and time scheduling needs are all met. 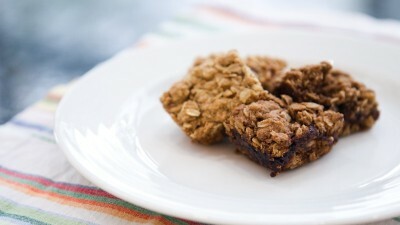 With planning some healthy lunches I am about to make these incredibly yummy bars. These were made earlier in the week and were a big success. Your kids will love them! Although they were made to accommodate school lunches, secretively, they were enjoyed by myself mid afternoon accompanying a cup of coffee. The source for this, a gluten free version and many more healthy easy to do’s can be found at WHATS UP USANA. Mix dry ingredients together (flour through sea salt). Add maple syrup, oil, and vanilla. Press 1/2 of the mixture into a bread pan. Spread jam over the bottom layer. Cover the jam with the rest of the mixture to create a top layer. Bake for approximately 30 minutes, or until light, golden brown. The dough can be a bit of a challenge. A quick handling tip. We’ve tried them, we’ve tested them, we love them. And did I mention how darn healthy they are?